Working as a property stylist and want to take your career to the next level? Need help developing your business and sales skills in property styling? Want to build on what you learnt in your first course with IIHS™? lack the confidence to start your dream career? property stager and stylist to the next level! Having experience in staging and styling properties is awesome, but without understanding how to manage your mindset, develop your marketing and sales skills, deeply understanding what it takes to run a business and so much more, taking the next step to a highly paid career in home staging and styling might be too hard. The most successful property stagers and stylists make ongoing learning and development a key priority throughout their career. You can do all the interior design, marketing, design and sales courses available but this does not mean that you will have all of the skills necessary to become a professional property stylist. Property styling is so much more than the physical act of staging a property, which is why home staging is so different to anything that is currently being taught in traditional education systems. …you have had a few staging flops too, either over staging properties, under staging or just not meeting the mark. How do you guarantee property staging success? You know that home staging is the right career path for you, and you really want to make it work. You want to build your own property styling business, or help someone else build theirs by becoming better. Why will Course 2: Advanced Home Staging & Business Development Make You Successful? You will learn to understand property styling principles such as colour and light, living spaces, client consultations installations and more! Most people only dream of the lifestyles being a property stylist can bring, but you can learn how to achieve the outcome you desire. Do You Want to Develop Your Property Styling Skills So You Can Become a Professional Property Stylist and Live the Lifestyle You Dream of? Since leaving the world of academia (Yes I was a doctor!) and focusing on my true loves of interior design, property styling and real estate I have turned my life around! I have combined my love of education with my love for interiors, styling and real estate to create a property styling business, a property styling education program for other property stylists, a renovation formula that I present through Zadel Property Education and have been given the opportunity to write for some amazing media outlets including realestate.com, Interiors Addict, Reno Addict and many more! If you are like me and have decided to change your career goal even though you already have a job, The International Institute of Home Staging™ is the place for you to develop and grow your new career! The courses at the International Institute of Home Staging™ are written by Naomi Findlay. Along with other property styling professionals, Naomi assesses the course work completed by each and every student and personally provides support, advice and specific feedback to each student. Naomi started her highly successful Newcastle NSW-based property styling business, Silk Home Staging & Styling™ eight years ago. 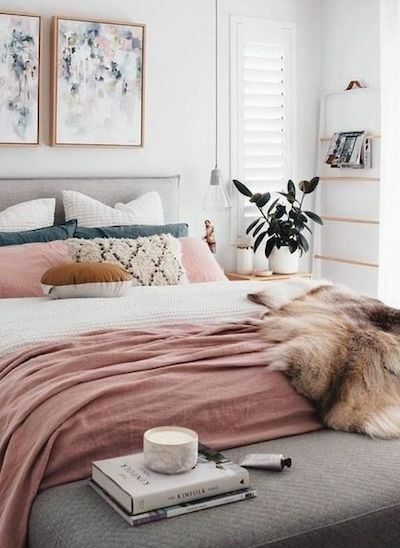 She is also the founder and principle of the International Institute of Home Staging™ where she has combined her skills in both property styling and awarded expertise in tertiary education. Naomi tours with the Zadel Property team, teaching her Rapid Renovation Formula and Space Medicine. Naomi has also received numerous teaching awards from the University of Newcastle and the Australian College of Education, as well as being nominated for a national award with the Australian Teaching and Learning Council. Advanced Home Staging & Business Development has essential skill development modules that will provide you with expert knowledge about how to professionally style properties and how to run your own property styling business. Everything about this course is available digitally, which means you can access Advanced Home Staging & Business Development, at any time, anywhere in the world. The material in this course has been created to make it as easy as possible to go back to look at past content, to revise for assessments and, of course, to learn more about home staging and managing a property styling business! At the end of each unit, an assessment must be completed and passed in order for the student to graduate the course. Advanced Home Staging & Business Development is completely customizable in terms of how each student completes and submits their work. The International Institute of Home Staging™ is happy to work with each student and find the best way for the student to complete the course most effectively. Plus, you will become part of the International Institute of Home Staging™ community, which comes in various forms such as membership, events and other benefits that are exclusive to students of the International Institute of Home Staging™. Assessment tasks are scattered throughout the course, with a major work to be completed at the end of the course. All assessment items need to be passed in order to pass the course. This course does not offer any electives. On submission of assessments, a confirmation email will be sent within 48 hours of IIHS™ receiving the submission. The next unit of work will be sent out within five working days and the feedback and results of the assessment will be available within two working weeks of the submission. 3. Requesting a word document version of the workbook to complete. 4. Most students simply create a document using Microsoft Word, Powerpoint, Pages or Keynote that contains their work and email it back as a PDF to IIHS™ for assessment. Please note: you MUST have previously completed Course 1: Art of Home Staging to be able to progress to Course 2: Advanced Home Staging & Property Development. OR if you are working within the property styling industry you can apply for Recognition of Prior Learning and Experience to move straight into this course…to learn more about these requirements CLICK HERE! If you are ready to join over 500 current and past students who have discovered the results they can achieve with Advanced Home Staging & Business Development please feel free to enroll now. The same idea applies for property styling! At The International Institute of Home Staging™ I’ve already done all the hard work! I have developed a program that works, and I know it works because I have documented all of my mistakes and figured out what works! Course 2: Advanced Home Staging & Business Development was created so you CAN LIVE OUT YOUR CAREER GOALS and become a successful property stylist. but for a very limited time I’ll let you have instant access to this plan for just $1497. Think of this as one of the best investments you will make in your life!